Paul has 30 years experience of working with growing, flat-lining and distressed Technology organisations to help drive business growth. In the 1990's, Paul owned and ran a high-profile executive search company specialising in helping US start ups who often had limited brand presence (including Next, Versant and PSDI) establish themselves in the UK/European market. In 1999, Paul founded EGOstream, bringing together his skills in talent acquisition and people development to build a business that helps Founders and CEO’s of Technology organisations strengthen sales performance and drive more results. In the early days EGOstream developed the sales teams of a number of global conglomerates (including Adobe, Cisco and SSA Global, now Infor), working with the leadership teams of these world-class organisations to uplift sales performance. Paul has since taken that footprint established with large organisations to specialise in helping mid-market Technology organisations strengthen performance in readiness for exit. Recent successes include Content and Code (sold 2018), Silverbear (sold 2018), IMX Software (sold 2018), Yocuda (sold 2017), Carrenza (sold 2016), Workplace Systems (sold 2016) and EACS (sold 2016). Lucy is a people performance specialist. She's been with EGOstream since 2004. 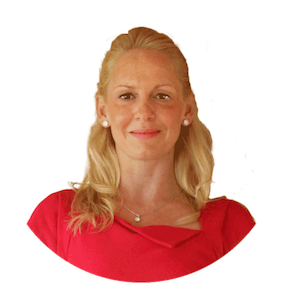 Lucy has a background in psychology specialising in performance in business and has complemented her academic training with 14 years experience coaching and developing Sales and Professional services leaders and their teams. She's worked with technology companies of all sizes, designing and implementing sales performance initiatives that have helped drive significant results. Her portfolio includes Adobe, SSA Global (now Infor), Deltek, Triad Group, Content and Code, EACS and Redstor. Steve is a double Olympic gold medallist. He was a member of the British Olympic rowing team for 10 years winning Olympic golds at both the Athens and Beijing games and four World Championship titles. Since rowing he has taken on a number of challenges including skiing to the Geographic North Pole and climbing Mount Everest. Steve has been working with organisation's for more than 8 years, drawing on his experiences from elite sport to help leaders and their teams perform at their best. Steve joined the team and co-founded the Elite Series in 2013 - the first programme in the UK to bring the winning principles of elite sport into business to strengthen every element of human performance proven to impact strong sales results.